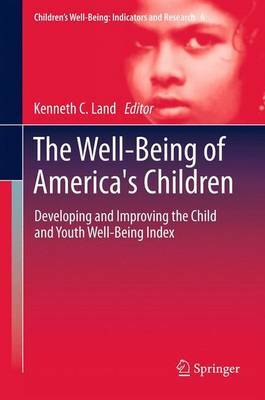 In 1998, the Foundation for Child Development (FCD) provided Kenneth Land a grant to explore the feasibility of producing the first national composite index of the status of American children that would chart changes in their well-being over time. Important questions needed to be answered: was it possible to trace trends in child and youth well-being over several decades? Could such an index provide a way of determining whether the United States was making progress in improving its children's lives? The Index of Child and Youth Well-Being (CWI) was born from these questions. Viewing the CWI trends from 1975 to present, there is evidence that the well-being of American children lags behind other Western nations. As conditions change, it is clear that the index is an evolving and rich enterprise. This volume attests to that evolution, and what the CWI promises for understanding the progress - or lack of progress - in enhancing the life prospects of all American children.